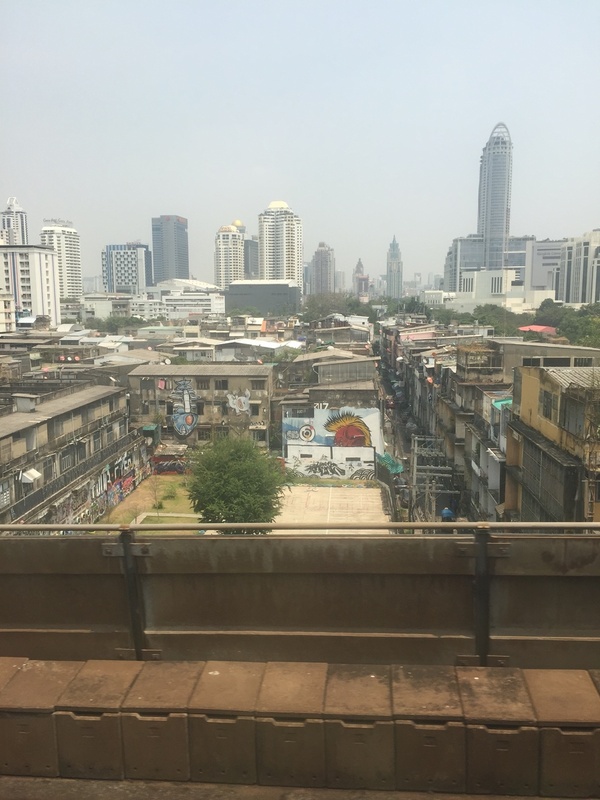 The Bangkok SkyTrain is the best ride in town! You can go almost anywhere in Bangkok on the Bangkok SkyTrain. It’s fast, cheap and a great way to see the city. Yesterday I went from smack dab in the middle of the city to the Chatachuk Weekend Market which is about an hour taxi ride from where I was. I usually take a taxi as I figured it was the fastest and easiest way to get there, but was I ever wrong. 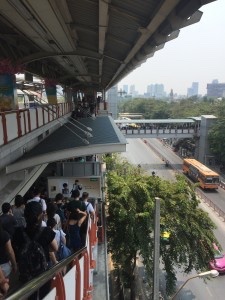 The SkyTrain is above ground and a storey or two above the street so not only does it zoom to the next stop, it provides a super view of Bangkok street life. You can see into neighbourhoods, back yards, and school playgrounds. You can peer into the second and third floors of buildings and parking garages. The train cars are ultra-modern with air con and big windows. 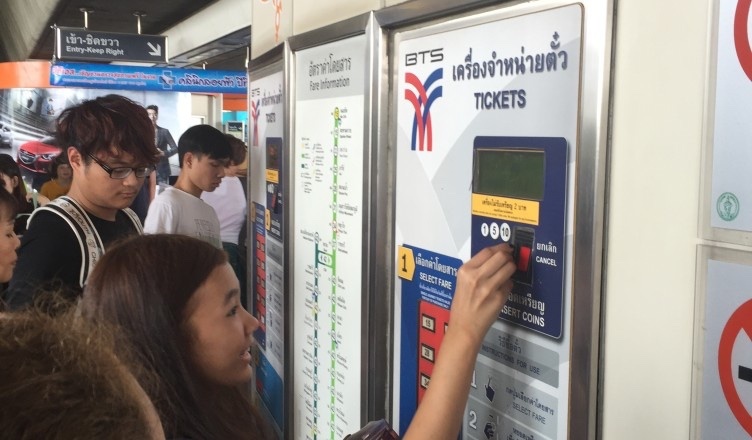 The doors swoosh open and close at each station, with Thai and English announcements made prior to each stop. 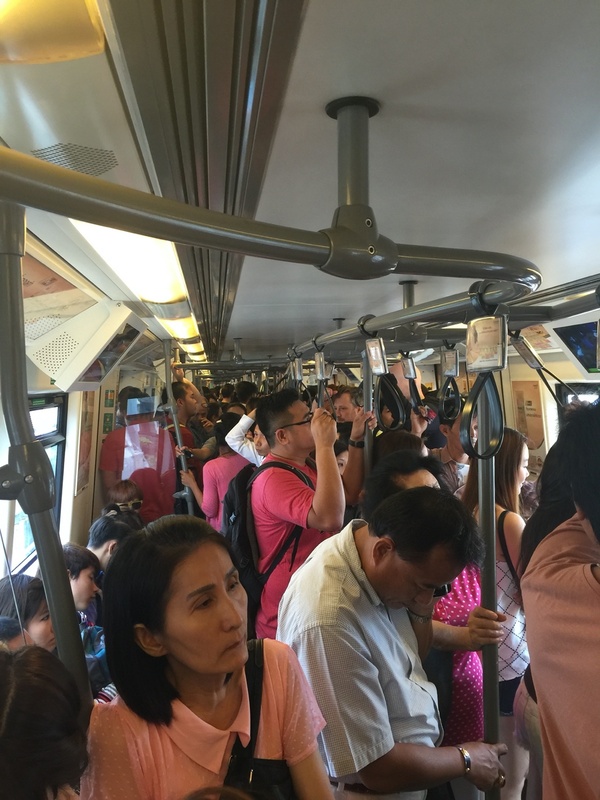 No matter how hot it is in Bangkok, the SkyTrain cars are cool and fresh smelling, welcoming all as they entre. Absolutely the Bangkok SkyTrain can be crowed, and is crowded most of the time. People are crowding into the stations. They are buying tickets from machines or from a ticket booth. People are pushing out of and into the trains at each stop and most of the time the trains are jam packed full of people. Almost everyone is dozing or doing something on their cell phone as the train hurls through the city. I guess that is how you can differentiate a local from a tourist. 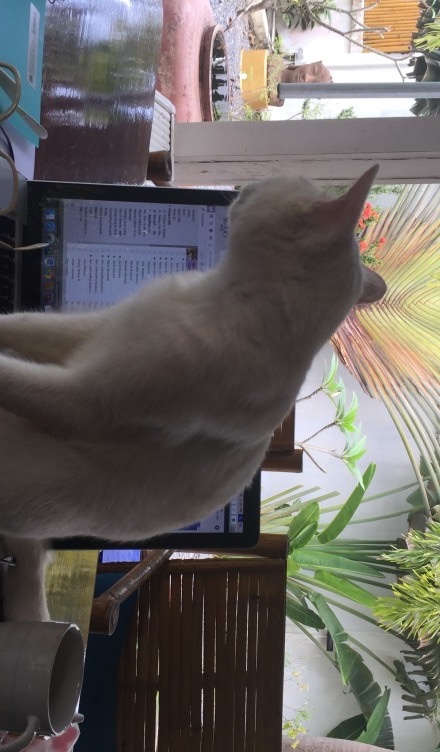 The locals see it everyday so they’d rather snooze or surf as they head to work,shopping or where-ever. That Saturday, on my way to Chatachuk Market I watched the people. The didn’t look out the window, not even quickly glancing at the city. And here I was with my cellphone camera snapping away both the inside and outside views. I love seeing the insides of things from the SkyTrain, the backyards, the alleyways and the forgotten streets that make up the character of a city. Bangkok is big, modern and old. The old is being replaced so quickly in the downtown area that it looks like any other city core with big skyscrapers, food chain restaurants and shopping complexes. Looking down from the SkyTrain I can see where people live and how they live. I see where they take their kids to play, and the neighbourhood shops and restaurants. If an area looks super interesting, I can get off at the next stop and explore. I got off at the end of the SkyTrain line for the Chatachuk Market. The train had been totally packed and everyone exited at this last stop. En mass we went down a flight of stairs, out of the station and onto an overpass to cross the road to get to the market entrance. It was slow going, no way to pass anyone or pause to tie a shoelace. And it was beyond hot after the cool train ride. I was so glad I had an extra bottle of water with me. For sure I will take the SkyTrain back to the hotel. 15 minutes in the SkyTrain is so much better than 45 minutes stuck in traffic in a taxi! 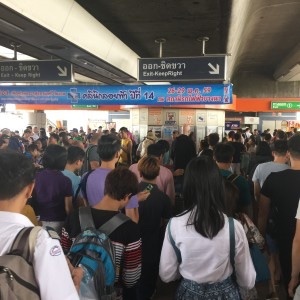 Taxi fares are cheap in Bangkok, but the SkyTrain cost is about 75% less, which makes it almost free, relatively speaking. But it isn’t the cost that makes it so good, it’s the speed and comfort that makes it the best ride in town! Visit an MK Restaurant for the Best Seafood Sukiyaki Ever! Chilli’s Restaurant on Koh Lanta has Great Food!